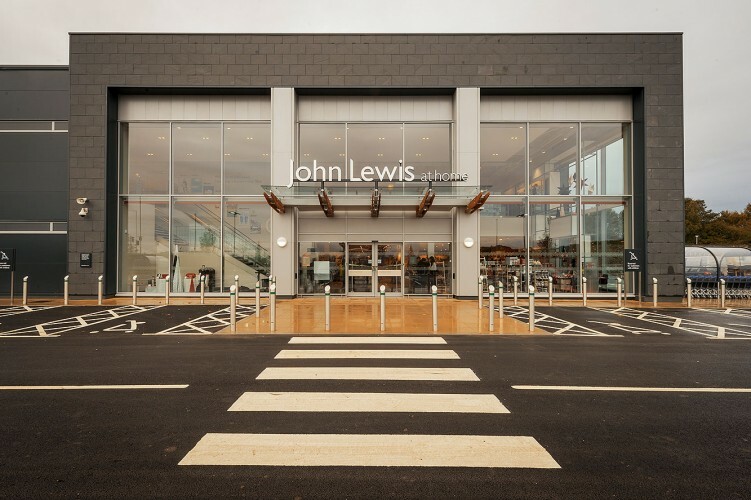 A new John Lewis At Home store extends over two floors with the ground and first floor selling areas totalling 39,000 sq.ft . The store includes a customer café and around 200 car parking spaces. The scheme has been delivered with a long-span steel framed structure with a ground bearing power-floated concrete slab, a lightweight mezzanine floor structure in timber and a composite floor slab for plant area. Civil aspects include the on-site road and car park design along with a SUDS drainage system. It is the tenth At Home format store to open in the UK.